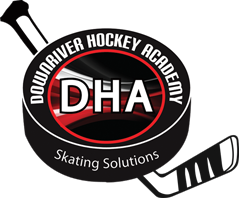 DHA has just recently installed 800 sq ft of synthetic ice. The surface imitates the feel of real ice and allows players another alternative when ice is unavailable. Hockey skills are always best practiced while on skates and the synthetic ice gives you that ability. Shooting tarps have been installed to allow multiple player and angle shooting. Noise is greatly reduced and provides an excellent coaching environment. The speed radar device keeps the training fun. Private and semi private sessions are available. 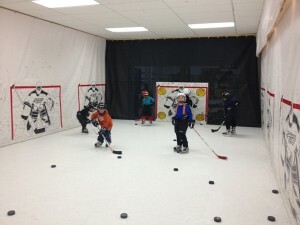 Here is a list of activities: shooting, puck handling, passing, cycling, edge work, transition, small games.